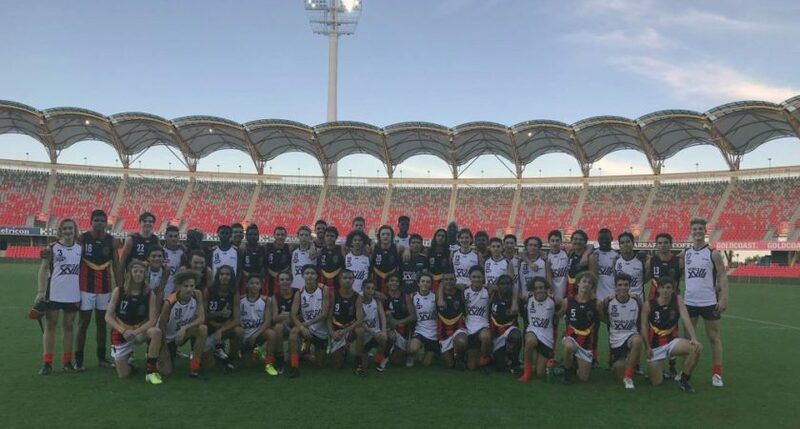 Two of Queensland’s most gifted Indigenous and Multicultural footballers will have the opportunity to learn alongside some of the best in the country in a fortnight’s time. Queensland pair Austin Harris and Cody Harrison will make the trip to Darwin on November 18 as the Flying Boomerangs embark on their Leadership Program for 2018. Taking place at the Michael Long Learning Leadership Centre in the Top End, the duo will join the best rising Indigenous talent in the nation having been selected after standout performances following the Male Kickstart Championships earlier this year. Across the seven-day camp from November 18 to 24, the 25-player Rio Tinto Flying Boomerang squad will be exposed to elite training environments and standards aimed at assisting them into the mainstream talent pathway. Participants will undertake education sessions, coaching lessons and a cultural day at Wadeye Aboriginal Community which aims at strengthening their cultural identity. The expedition to Darwin is the second such camp for the pair following July’s retreat on the Gold Coast. On the Gold Coast, the Flying Boomerangs were joined by the World Team, a Multicultural representative team who play against the Boomerangs of which Harris was a member of, but following the initial camp, four members – including Harris – were chosen to participate in phase two. AFL Queensland Diversity Coordinator – Talent, Peter Yagmoor, said the benefits of the leadership program are nearly endless. “The camp is designed to be a learning experience for the group and I hope both Austin and Cody certainly make the most of the opportunity,” he said. The Flying Boomerangs Program commences on November 18 and concludes no Saturday November 24. Selection into the program is through the Male Kickstart Championships. Participants are required to compete with their state team at the championships to be eligible for selection into the Boomerangs program.